In May 2006 Tottenham Hotspur agreed £10.9m deal with Bayer Leverkusen for Bulgarian striker Dimitar Berbatov, subject to a work permit. Berbatov made his name with CSKA Sofia before moving to Leverkusen in 2001, and he was a crucial part of the team who came so close to winning the Bundesliga and the Champions League in 2002. After that side fell apart, he stayed with the club, who have struggled to challenge at the top in recent years. 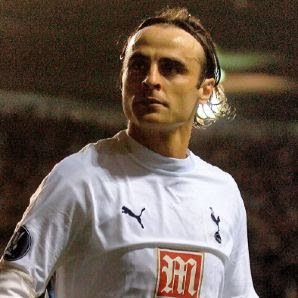 However, when Tottenham Hotspur came calling, Leverkusen were willing to cash in on him, and Berbatov more than proved his worth in 2006/07 as he scored 23 goals in 43 starts, making him one of the best signings of the summer of 2006. He continued this fine form in 2007/08 and helped the club win the Carling Cup, but he was continually linked with a move away from White Hart Lane, and the summer of 2008 saw him at the centre of a row between Spurs and Manchester United over a possible transfer. On transfer deadline day, Spurs accepted a bid from Manchester City for Berbatov, only for the player to enter talks with United, and a deal was finally brokered at the last minute to take him to Old Trafford.